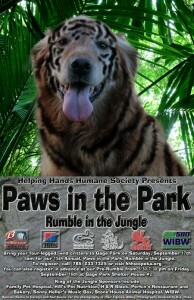 Join us for 2011 Paws in the Park – Topeka. We’re gonna Rumble in the Jumble at Gage Park in Topeka this Saturday, the 17th starting at 9 am. 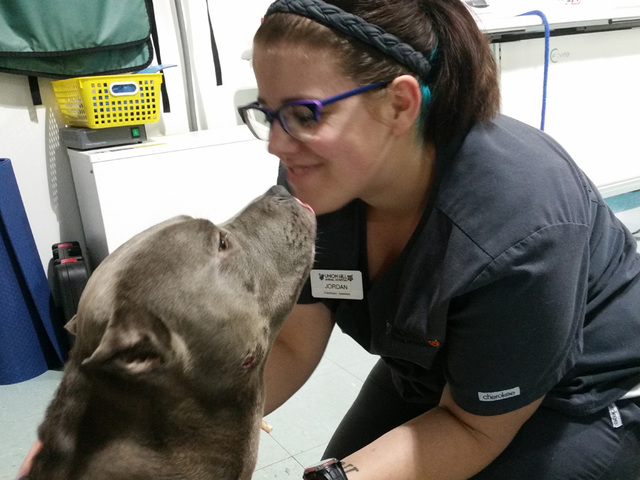 We’re proud to show off our incredi-bulls in the city that now welcomes these very misunderstood dogs. Stop by and see us and be prepared to fall in love. 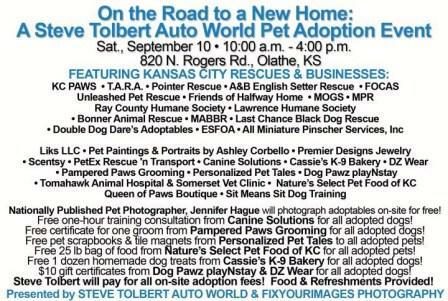 We’ll be at Steve Tolbert Suzuki in Olathe this Saturday, September 10 from 10 am to 4 pm to show off our best bully buddies !!! MABBR will have a booth at Greaserama 2011! 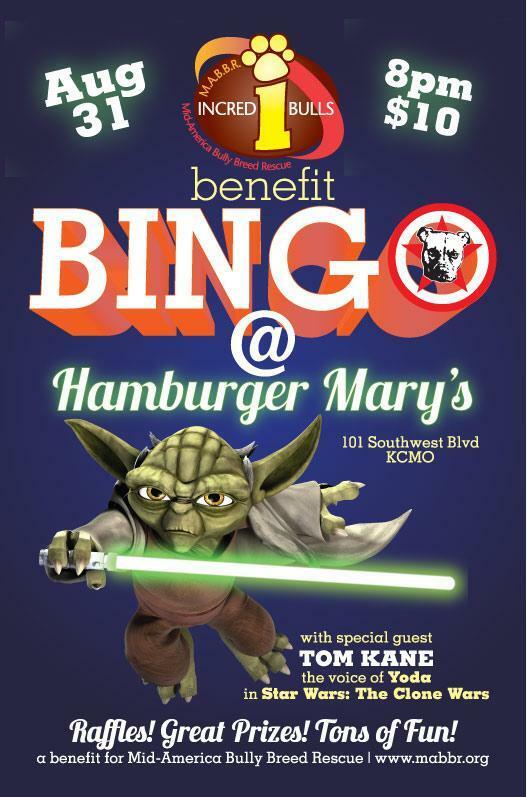 Join us for Bingo at Hamburger Mary’s on August 31, 2011. Our special guest is Tom Kane, the voice of Yoda in Star Wars: The Clone Wars. It’s only $10 and there will be raffles and great prizes! A portion of the proceeds will benefit MABBR. 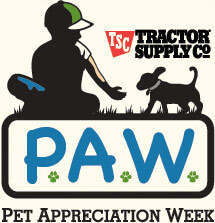 MABBR will be onsite with some of our adoptable dogs. Come bowl with us to help raise money for the MABBR dogs. We’ll be raffling off some great prizes so grab some friends and go bowling for our bullies !!! Join the area’s animal lovers on Sunday, November 14, for an all-animal day! Some 50 information booths and exhibits will feature pet products, pet services, rescue groups, dog training, pet arts & crafts, exotic pets, and more. Plus, you can visit with shelter dogs available to adopt, stock up on homemade goodies at the bake sale, bid on silent auction items, and have a photo taken of you and your pet at Santa Paws. Santa Paws available for photos from noon-4pm. 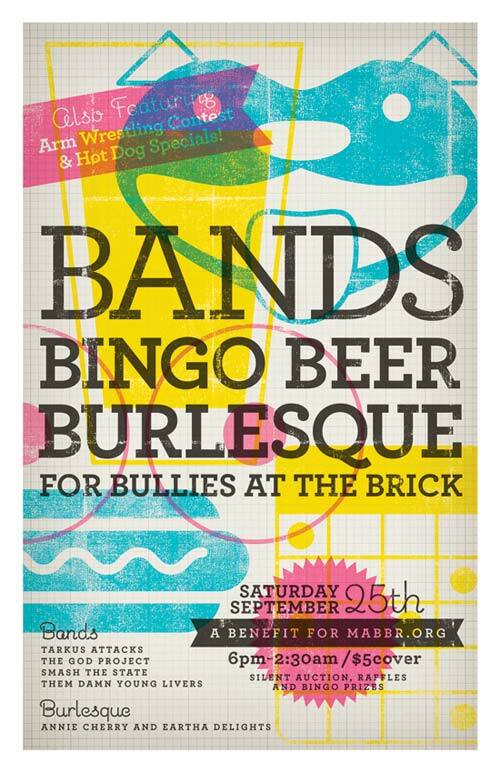 Please join us for a great night with bands, bingo, beer, and burlesque at The Brick in the Crossroads District of downtown Kansas City, MO! The benefit will be Saturday, September 25th, 2010 from 6pm to 2:30am. There will be a $5 cover charge and proceeds will go to MABBR.org to help bullies in need. Featured bands include Tarkus Attacks, The God Project, Smash The State, and Them Damn Young Livers. The burlesque show will feature Annie Cherry and Eartha Delights. Also expect arm wrestling contests, hot dog specials, a silent auction, raffles and bingo prizes!